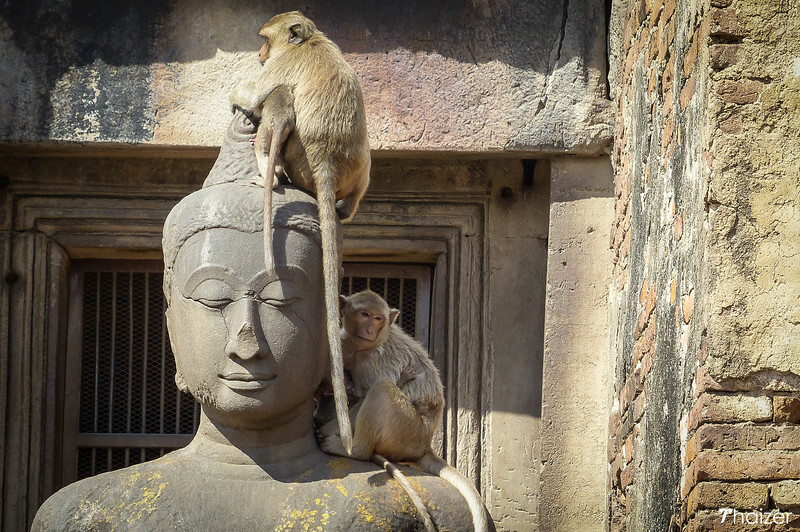 If it’s true that every dog has its day then it’s equally true, in Lopburi at least, that every monkey has its day. 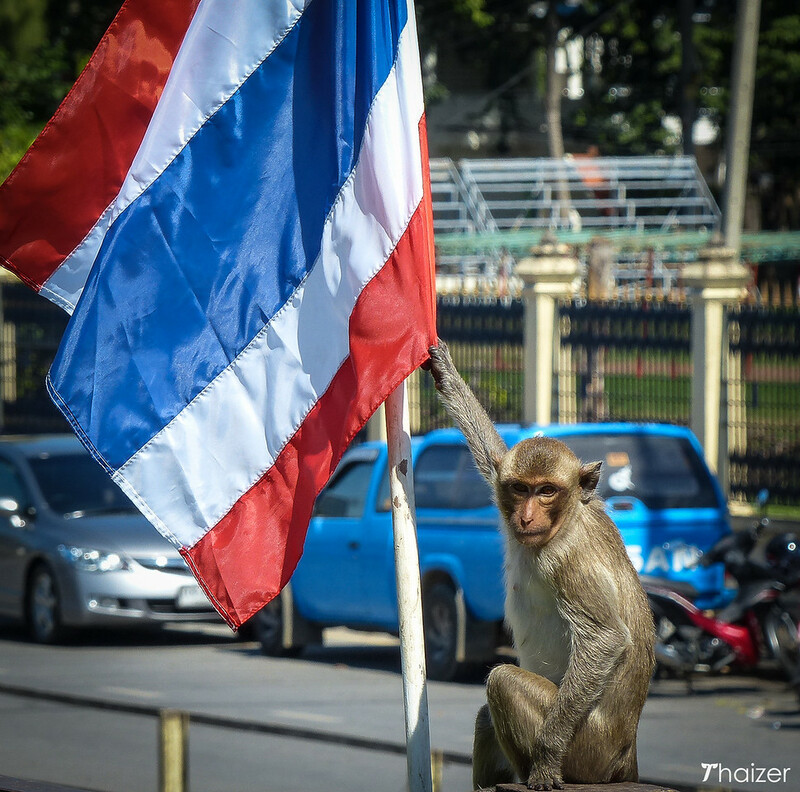 And that day is the last Sunday in November when the town of Lopburi in central Thailand hosts its annual monkey banquet and festival to say thank you to the hundreds of macaques who live in the town. 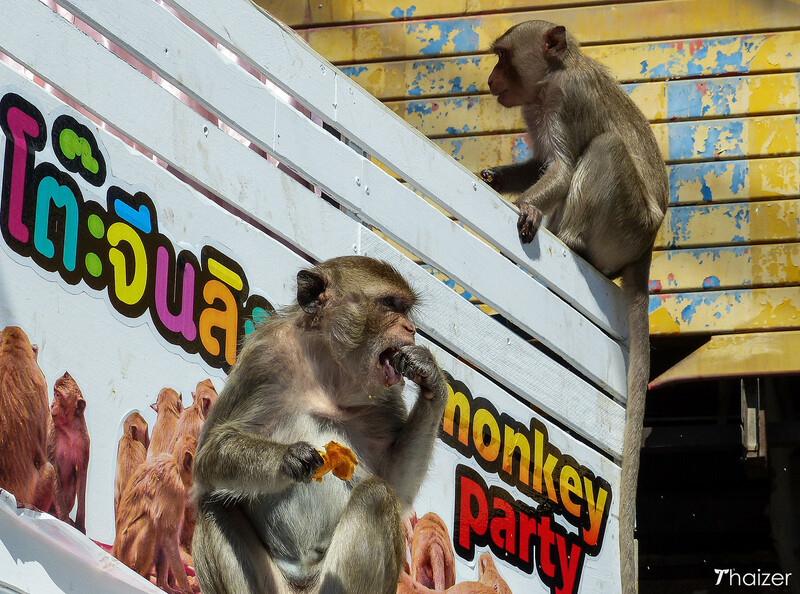 The monkey banquet festival first started in the 1980s thanks to the inspiration of a local businessman. 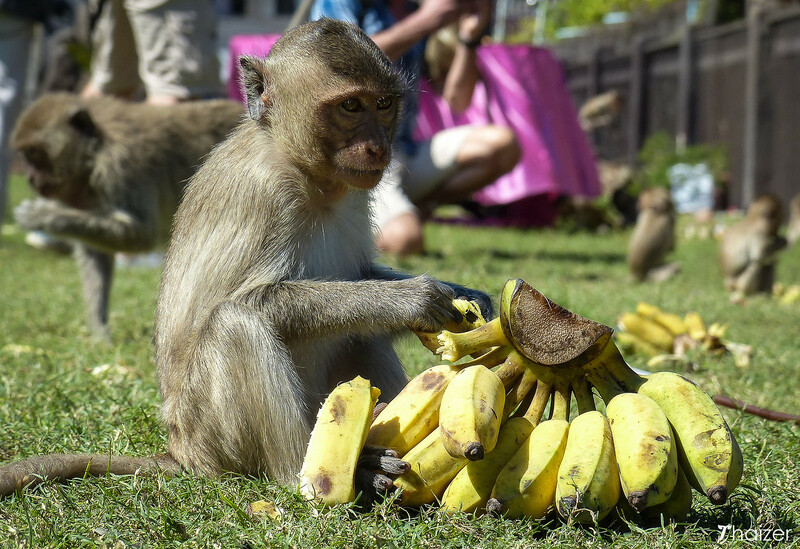 His idea was to provide a buffet of fruit and food for the monkeys as a way of expressing gratitude for the primates whose presence brought in welcome tourist revenue to the town. The event has grown in size over the years and thousands of local and overseas tourists descend on Lopburi to see the monkey banquet and the associated festivities. 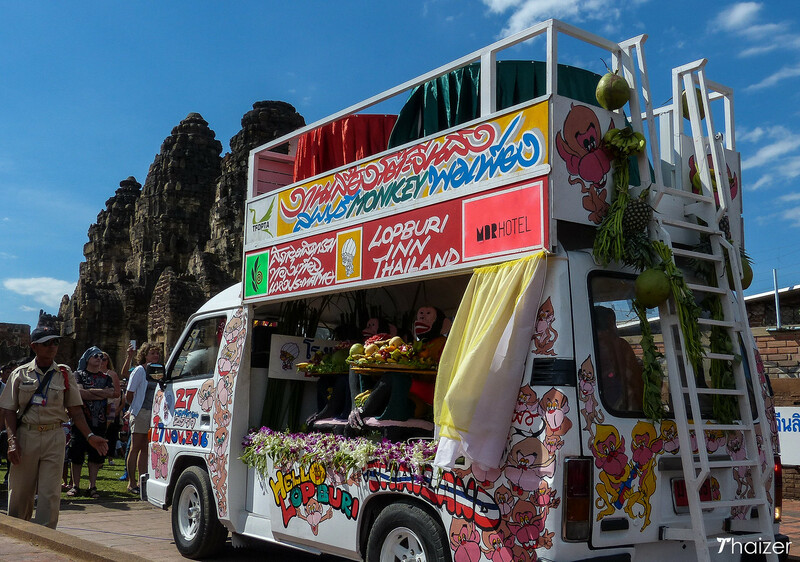 Like any event in Thailand, food plays a pivotal role and it isn’t all about the monkeys with an array of vendors and food-stalls set up to feed the human visitors too. 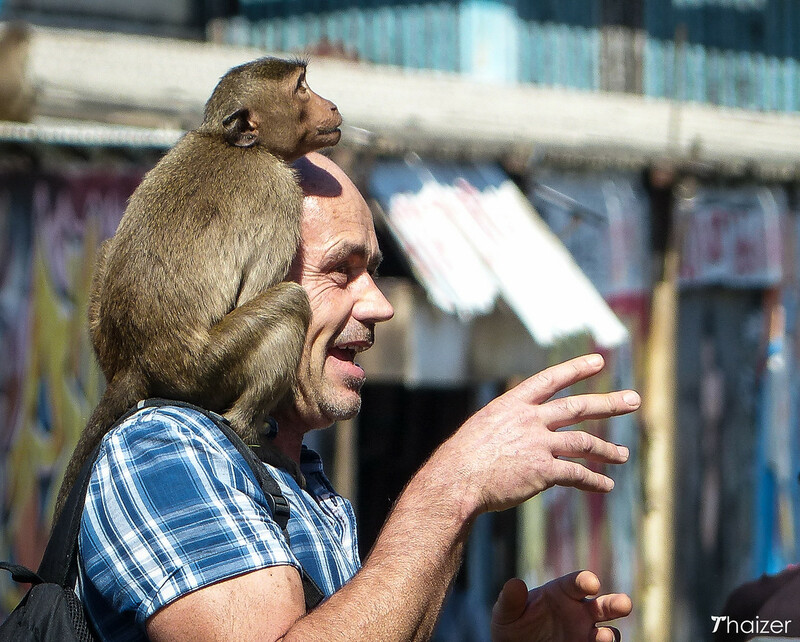 The annual Lopburi Monkey Banquet Festival takes place on the last Sunday in November. On the day of the banquet, instead of just one sitting there are usually four separate banquets which take place at 10.00, 12.00, 14.00 and 16.00. The day kicks off with the official opening ceremony before the tables and food are laid out for the monkeys.